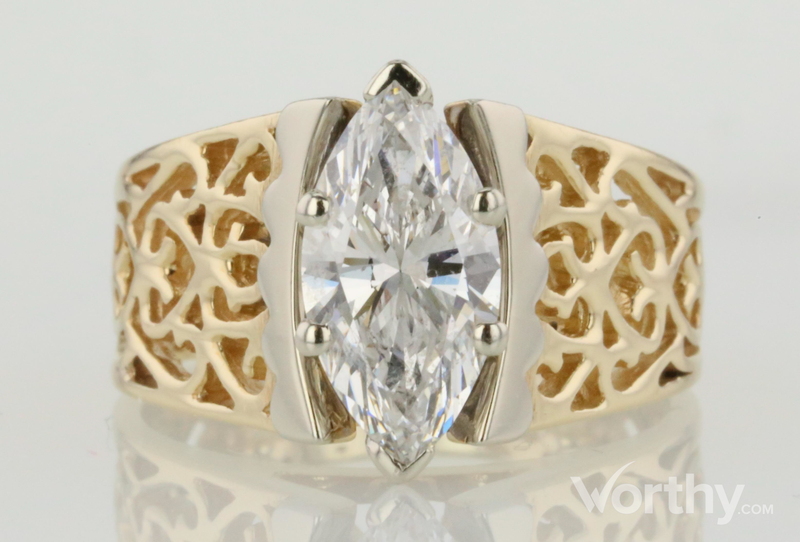 14k gold custom made solitaire ring consisting of marquise shape, natural diamond, weighing 1.70 - 1.75 carats, having a H color and I1 clarity, according to GIA grading scale. The center stone measuring 12.36mm x 6.20mm x 3.19mm. Inclusion Description: The grade making inclusions are: a cluster of twinning wisps extending from the center of the diamond just outside the table extending to the point, and a twinning wisp extending completely across the table in the crown just under the surface. Ring size is approximate due to sizing beads. Girdle is thin to slightly thin.